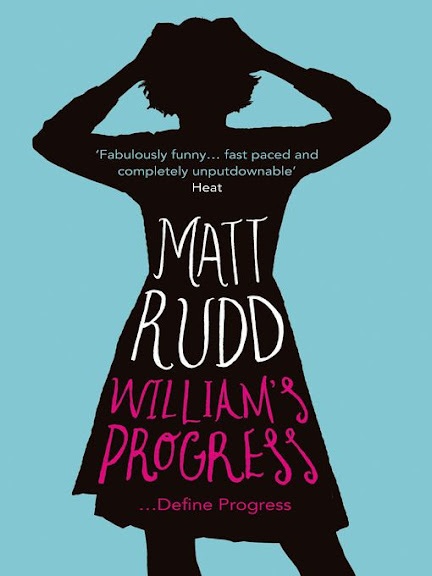 William’s Progress revels in the common and not-so-common traumas of being a father. The eponymous hero and his tolerant wife, Isobel, have a new son, Jacob, who is more than enough stress in an already busy life. Think again. Amongst his new-found lack of parenting skills, William has to contend with his gay friends who are planning to redecorate his bathroom and film the chaos on national TV, a young, female boss who turns a blind eye to William’s merits for promotion, and a friend who’s dating his ex-girlfriend, the relationship-wrecker, Saskia. Try as William might, life takes a continual plunge for the worse, and he finds himself floundering in a tempest of bad luck, persecuted by a kickboxing tyrant called Brenda and her cat-murdering husband, Bob, who ensure that William’s future is about to get a lot worse.